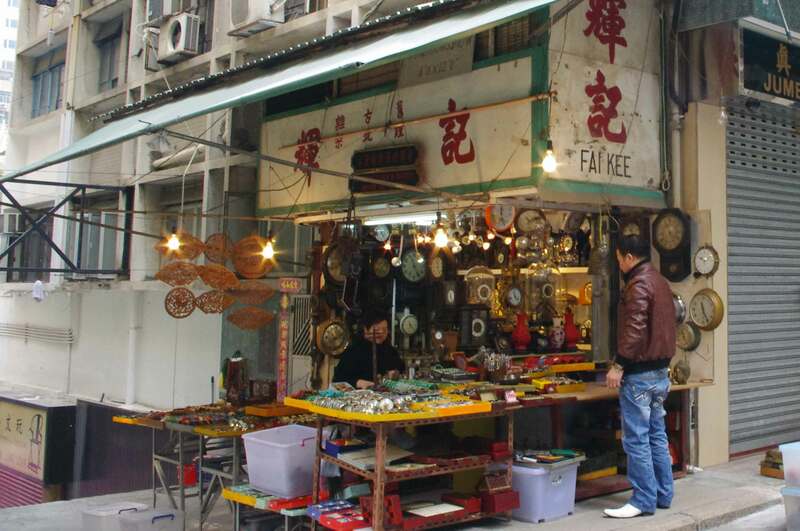 Take a break from Hong Kong's giant shopping malls and explore some higher ground, with a quiet walk on Hollywood Road Hong Kong's prime location for antiques. This neighborhood is located high up on a steep hill, which you can access from either the extremely long outdoor covered escalator, or by the tram. Contrary to popular belief this road isn't named after the American neighborhood by the same name, Hollywood Road in Hong Kong is older (1844) and is thought to have been named by the Governor at the time who had a family home in Bristol called Hollywood. Hollywood Road in Hong Kong is where locals and tourists head to borrows Chinese antiques such as porcelain, sculpture, rugs, furniture, Ming Dynasty ceramics, and all things Mao. The places you'll find range from ultra expensive to second-hand affordable, but because they are private galleries not auction houses it's hard to be certain that what you're getting is authentic. If you're a serious collector or an art connoisseur you'll likely have a handle on how to buy, but if you're a novice it's important that you do your research on a place before you buy to make sure you're getting the real deal. One of the popular purchases on Hollywood Road is 'mammoth' tusk ivory, with intricate carvings of historic Chinese life. This however, comes with a high probability of counterfeit ivory tusks that have been illegally sourced on the black market, and of course are morally wrong. Sure you can find antique pieces that were created before the ivory ban, with certificates of authenticity, but honestly if someone is sourcing illegal ivory it's doubtful that they'll have a problem with forging a letter of authenticity. The Chinese government has been actively trying to crackdown on ivory smugglers and without getting into the gory details, it's a pretty big and messy trade. So in other words, if you don't know what you're doing, just don't bother with the ivory carvings, you don't want to support (even unwillingly) this illegal trade. You'll find dozens of shops to explore on Hollywood Road, and even if you aren't in the market for antiques the neighborhood makes for a lovely quiet walk once you reach the top, with great views of the city below. Stop by the Man Mo Temple for some added culture, and spend some time wandering down the side streets to find smaller shops selling spices, and second-hand books and trinkets. Stick around for the early evening and check out one of the several bars and restaurants that cater to the locals who live in the area.